Now a neurologist who is truly forging new ground in the treatment of Alzheimer’s disease and dementia may have some much-needed answers. His name is Dr. Dale Bredesen. Several years ago he developed a program that can actually reverse Alzheimer’s. It was originally called the MEND protocol, which I’ve written about in the past. This is very exciting news and may offer extremely personalized treatments and prevention strategies against Alzheimer’s disease. In recent years, Dr. Bredesen expanded his standard evaluation of patients with dementia. And what he discovered may truly change the way we look at the disease. 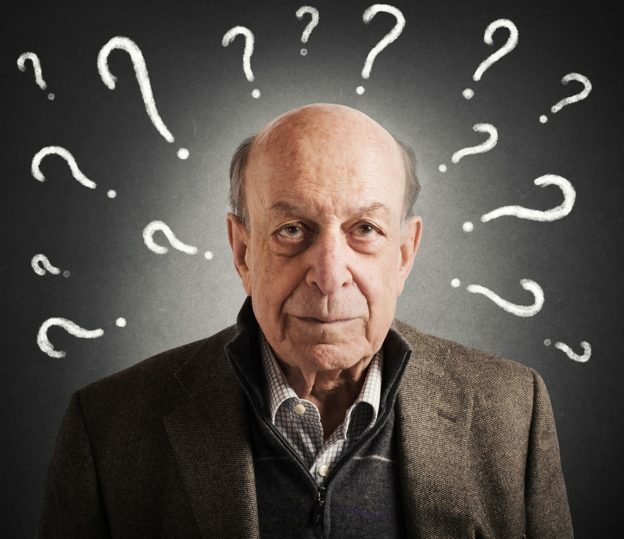 This groundbreaking neurologist was able to identify three different Alzheimer’s subtypes. Inflammatory. This subtype of Alzheimer’s is influenced by an increase in inflammatory markers. These include things like CRP, interleukin-6 and pro-inflammatory cytokines. Patients in this category could also have insulin resistance or metabolic syndrome. Some have vitamin D deficiency. Non-Inflammatory. In this case, inflammatory markers aren’t increased. However, these people exhibit metabolic abnormalities. This includes problems such as insulin resistance, vitamin D deficiency, high levels of homocysteine and hormonal imbalances. The third type is very distinctive and affects relatively young individuals. It typically affects ApoE4-negative individuals. And it’s associated with striking zinc deficiency. Patients in this group also showed widespread brain shrinkage. There is no “one-size-fits-all” solution for Alzheimer’s. But given these parameters, what can you do to ward off age-related mental decline? Shut down inflammation with curcumin. This natural compound reduces a large number of inflammatory markers, including CRP, IL-6 and pro-inflammatory cytokines. Look for a supplement that contains 95% curcuminoids and at least 10 mg of bioperine. Omega-3 rich fish oil can also help lower inflammation and protect your brain. I recommend 2,000 to 4,000 mg daily. Chromium makes your cells more receptive to insulin, so they can better process glucose. I recommend taking chromium picolinate, between 400 and 600 mcg a day. Green coffee extract contains something called chlorogenic acid. It helps to block sugar absorption in your intestines, reduces the production of glucose after meals and can work to improve insulin sensitivity. Even if you’re only moderately deficient in vitamin D, it could increase your risk of dementia and Alzheimer’s by more than 50%. If you’re severely deficient, it can more than double your odds of these mind-robbing conditions. If you are in the range I use for vitamin D3 insufficiency (< 30 ng/ml), take 5,000 IU of D3 in the cholecalciferol form each day and retest in three months. Otherwise, take 1,000 to 2,000 IU to maintain healthy levels. If you can find a combination with other fat soluble vitamins A and or Vitamin K2, those are best. Add B vitamins to lower your homocysteine levels. The recommended doses are: 500 mcg of B12, 20 mg of B6 and 800 mcg of folate daily. Depending on how high your homocysteine is and if you have an MTHFR mutation, more may be required. Slow down brain shrinkage with plenty of physical activity. Regular exercise boosts brain volume, particularly in the hippocampus. This is the part of the brain responsible for short-term memory, so it’s important when it comes to forming new memories. It also shrinks under chronic stress, so mindful breathing, yoga and meditation are formidable weapons in keeping hippocampal volume reduction to a minimum. Plus, keep in mind that exercise also reduces inflammation and metabolic disorders… so it’s a win-win all the way around. Since many individuals with brain shrinkage are zinc deficient, it’s a good idea to test your levels. Depending on those levels, supplement with 50 to 100 mg zinc daily, keeping in mind that copper should be evaluated at the same time to maintain healthy ratios. In general, for every 15 mg of zinc taken 1 mcg of copper is added. Feed your brain for top notch performance. The foods you eat all have a profound effect on inflammation, metabolic disorders and brain shrinkage. Eating processed, sugary, artificial and other non-nutrient foods will certainly lead you down a path of mental decline. On the other hand, eating a Mediterranean style diet can protect against all of these parameters of Alzheimer’s disease. People who eat this type of diet have lower levels of numerous inflammatory markers. They are less likely to develop metabolic disorders. And they have brain volumes that are significantly higher than people who don’t eat like a Mediterranean. If you’re not sure if you’re truly eating a Mediterranean style diet, you can click here to find out. Bredesen DE. Metabolic profiling distinguishes three subtypes of Alzheimer’s disease. Aging (Albany NY). 2015 Aug;7(8):595-600. Derosa G, et al. Effect of curcumin on circulating interleukin-6 concentrations: A systematic review and meta-analysis of randomized controlled trials. Pharmacol Res. 2016 Sep;111:394-404. Gupta SC, et al. Therapeutic Roles of Curcumin: Lessons Learned from Clinical Trials. AAPS J. 2013 Jan; 15(1): 195–218. Thomas J, et al. Omega-3 Fatty Acids in Early Prevention of Inflammatory Neurodegenerative Disease: A Focus on Alzheimer’s Disease. Biomed Res Int. 2015; 2015: 172801. Lau FC, et al. Nutrigenomic basis of beneficial effects of chromium(III) on obesity and diabetes. Mol Cell Biochem. 2008 Oct;317(1-2):1-10. Thom, E. The Effect of Chlorogenic Acid Enriched Coffee on Glucose Absorption in Healthy Volunteers and Its Effect on Body Mass. J Int Med Res. 2007 Nov-Dec;35(6):900-8. Santana-Gálvez J, et al. Chlorogenic Acid: Recent Advances on Its Dual Role as a Food Additive and a Nutraceutical against Metabolic Syndrome. Molecules. 2017 Feb 26;22(3). pii: E358. Littlejohns TJ, et al. Vitamin D and the risk of dementia and Alzheimer disease. Neurology. 2014 Sep 2;83(10):920-8. Tan ZS, et al. 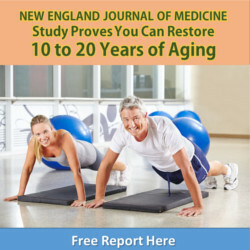 Physical Activity, Brain Volume, and Dementia Risk: The Framingham Study. J Gerontol A Biol Sci Med Sci. 2017 Jun 1;72(6):789-795. Head D, et al. “Exercise Engagement as a Moderator of the Effects of APOE Genotype on Amyloid Deposition.” Arch Neurol. 2012 Jan 9. Babio N, et al. Mediterranean diets and metabolic syndrome status in the PREDIMED randomized trial. CMAJ, October 2014. Mediterranean Diet May Have Lasting Effects on Brain Health. Press Release. American Academy of Neurology. Jan 2017. Sofi F, et al. Effectiveness of the Mediterranean diet: can it help delay or prevent Alzheimer’s disease? J Alzheimers Dis. 2010;20(3):795-801.